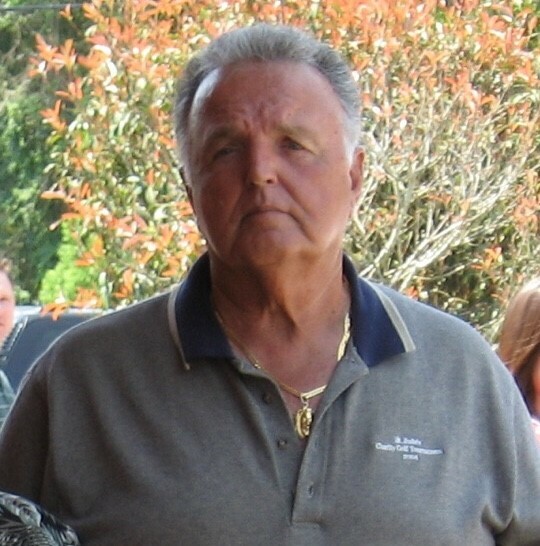 Daniel P. “Skip” D’Amico was born October 27, 1940 and passed away in Baton Rouge, Louisiana on April 2, 2019, surrounded by his family. Skip was married to Dorothy “Dot” Lindsly D’Amico for almost 50 years and were the proud parents of 4 children, Danny D’Amico, Brad D’Amico, Marie D’Amico and Sonya Zimmer. After the death of his wife, Skip was blessed with the companionship of his second wife of seven years, Shirley Bonaventure D’Amico. He is survived by his wife, children, daughter-in-law, Darlene D’Amico, grandchildren, Jason, Rocco, his wife Michelle, Ariel and Gabby, and his great-grandchildren, Rocco, Jr., Lindsly, and future great-granddaughter, Aldyn Talor, sisters, Grace Russo, Sallie Segura and Suzette D’Amico, his loving dog, Sassy, and his many nieces, nephews and friends. Skip D’Amico is a graduate of Baton Rouge High School. He joined the EBR Sheriff’s Office in 1961where he served until 1975 and rejoined the ranks of law enforcement in 1983 until his retirement as a Major with the EBR Sheriff in 2002. Family was always first in his life, including his fellow law enforcement officers who were his extended family. Skip was an avid golfer, bowler, camper and casino enthusiast, and loved all animals. Skip served his community with honesty, loyalty and integrity. He sent many young people home with their parents, escorted a number of adults through the unintentional mistakes of life, and never met a stranger. Skip’s compassion and generosity for others left him working a minimum of 2 extra jobs in addition to his duties as a sheriff deputy. He was never a man a wealth, but he had a wealth of love and happiness. Skip D’Amico is preceded in death by his wife, Dorothy D’Amico, his father and mother, Sam and Marie D’Amico, his siblings, James D’Amico, Sammye Segura, Marie Ransome, Sam D’Amico, Jr., his grandchildren, Cody D’Amico, Talor D’Amico and Madison Maggio. Visitation at Resthaven Funeral Home on Thursday, April 4, 2019 from 5:00 p.m. until 9:00 p.m. Visitation will continue at St. Jean Vianney Catholic Church on Friday, April 5, 2019 from 9:30 a.m. until a Funeral Mass at 10:30 a.m. Burial at Resthaven where he will be laid to rest next to his first wife. Pallbearers are Jason and Rocco DeBenedetto, Michael and Brit D’Amico, Sam Russo and Danny D’Amico. In lieu of flowers, donations can be made to St. Jude Children’s Research Hospital.